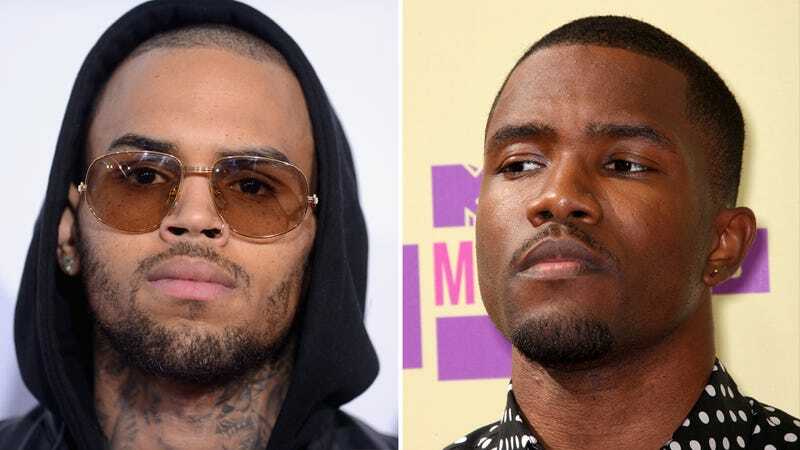 Last night, R&B star and altercation aficionado Chris Brown punched fellow musician Frank Ocean in a fight over a parking space. This may have been the most typically LA altercation in the city's history. The AP reports that Chris Brown, who we know for beating Rihanna and terrorizing Lamborghinis, was involved in a six-person brawl in the West Hollywood parking lot of a recording studio. The fight started over a parking space, which "allegedly led to Chris Brown punching the victim." The ‘victim' was none other than Frank Ocean, who we know for lionizing affordable classic cars and having a voice like an angel. Ocean tweeted that Chris Brown had jumped him in the lot. TMZ reports that Ocean was called the victim only because he stuck around long enough to talk to the police, while Brown left the scene. Sources close to Brown, states TMZ, alleged that Ocean started the fight by blocking Brown from leaving the parking. It is unknown if either party will press charges.